As patients continue to flock to the internet in search of medical information and physician recommendations, traditional marketing dwindles in importance. While print advertisements and word of mouth were once sufficient for attracting new patients, the internet now holds the potential to make or break your practice and your new patient volume. Because of this, it is imperative that all aspects of your practice’s online reputation are carefully considered and well-crafted. appropriate responses to online reviews. First impressions are everything in marketing. You wouldn’t want to have a patient walk into an outdated, poorly maintained waiting room as their first physical impression of your practice and, similarly, you don’t want potential patients to see an old, neglected website when they research your practice online. Carefully consider homepage content. 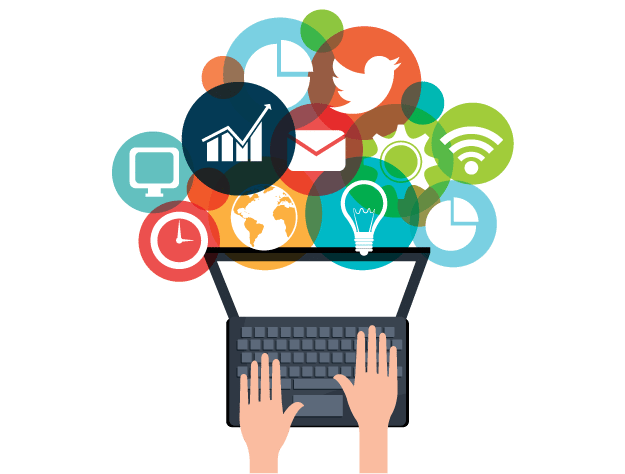 Having digestible, easy-to-read content on your home page allows users to learn more about you and your practice quickly without getting bogged down by too many menus and clicks. Avoid cheap templates. Often, premade website templates appear cheap and unprofessional. Spending the extra money on a custom website design and ensuring branding is consistent throughout the site is well worth the investment. Because cheaper templates tend to be shared by multiple sites, using one can result in significant damage to your practice’s SEO effectiveness. Search engines like Google will penalize websites that are too similar to others (either in appearance or code). By choosing a good custom web design, your site is guaranteed to be unique and effective. Have an effective menu bar. Include a header or some form of menu that stays in place on the screen, allowing visitors to easily navigate your site regardless of the page they’re on. Be mobile friendly! Google now penalizes sites that are not coded to be mobile friendly, burying them deep in search result pages which suppresses normal web traffic. Often, a template will look great on desktops or laptops, but they are not responsive and glitchy on mobile devices. Some examples of excellent healthcare web design include https://raleighortho.com, https://wosm.com, https://osswf.com and https://accesssportsmed.com. Since 2016, over 50% of Google searches were entered on a mobile device. As this number continues to climb, it’s becoming increasingly important to have a website that responds correctly to all screen sizes. Responsive design, or code that adapts web pages to fit different screens, has become the most-often recommended method of optimizing content for mobile devices. That said, websites that don’t have responsive design are a clear sign of a business that is is not in tune with its mobile users: side effects may include poorly formatted text, tiny links, and a jumbled layout. 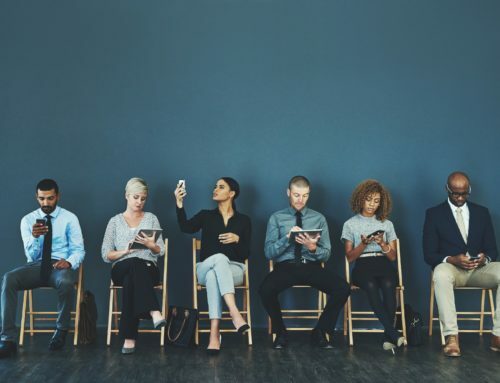 As younger, tech-savvy patients are taking responsibility for scheduling their appointments, it has become more important than ever to be mindful of how to best reach them. 94% of millennials (aged 25-34) own a smartphone — having a mobile-friendly website provides you a significant advantage in making a great first impression on younger patients. 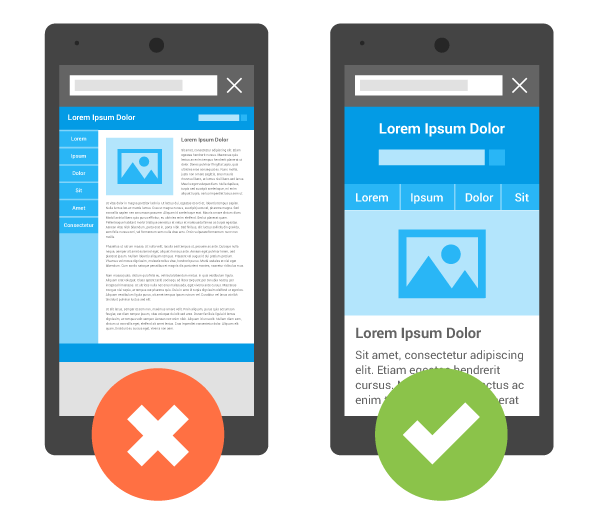 Google offers the mobile friendliness tool for testing whether your practice’s website is mobile-friendly. code responsive design into your existing website. Some web experts recommend having a separate mobile site that offers a simplified version of the main site’s content and has its own url (often with a URL that looks something like “m.website”). These mobile-specific sites tend to load quickly and have interactive elements that allow the user to call or schedule an appointment. Others recommend including code that restructures your existing web page to fit on a smaller screen, displaying the same content but reformatted to display properly for mobile users. Search engine optimization, or SEO, also plays a crucial role in maintaining a strong online presence. All major search engines, such as Google, Bing, and Yahoo, have primary search results where web pages and other content including videos or local listings are shown and ranked based on what the search engine considers most relevant to users. Ideally, you want to appear at the top of the list of search results, as those in the top receive the most new patients. Claim all listings associated with your doctors. 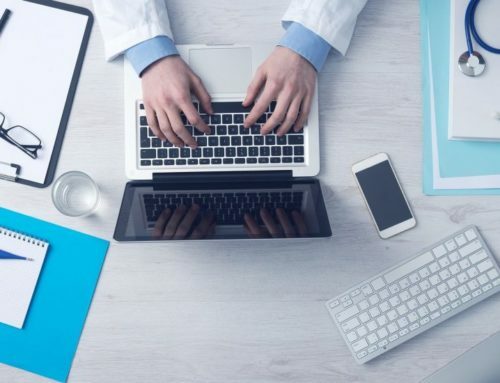 Having access to all pages associated with your doctors allows you to better control all aspects of your practice’s online reputation. Consistent information across all review platforms (Yelp, Google My Business, Healthgrades, Vitals) increases the likelihood that a prospective patient will stumble across your practice and book an appointment. Learn how to claim a Google My Business listing and how to claim your Yelp listing. Be consistent across all platforms. Now that you’ve claimed your listings, it’s important to make sure the information matches the information on your website. The name, address, and phone number (or NAP) should exactly match how it appears on your website. One common mistake is for the website to say “Ste” or “Ave.” and the review listing will say “Suite #” or “Avenue.” Spelling and case are important. Fill out as much as possible. Ensure all listings have a comprehensive description and nice looking photos. 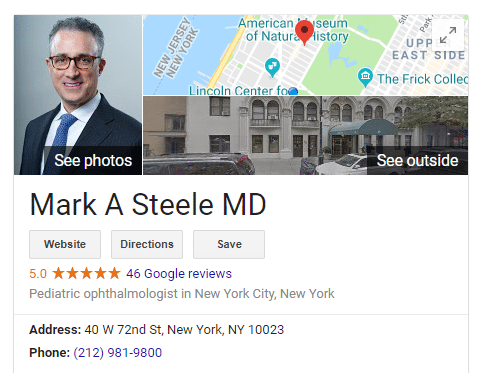 For doctor’s listings, the profile photo should be a professional headshot (ideally the same one used on your website). For the practice listings, the profile photo should be a front-facing picture of your building. Click here to learn more about increasing your search visibility on Google My Business. So you’ve worked hard and earned an excellent reputation online — congratulations! The next step is to share your success. Patients love to feel comfortable and confident in their decision to choose your practice as one of their healthcare providers. rater8 provides a personalized Reputation Management web page that provides a holistic overview of the doctors and their performance through verified reviews. We recommend either providing a link to your doctors’ review pages on their biography page or including a ‘Testimonials’ section somewhere on your practice’s site. 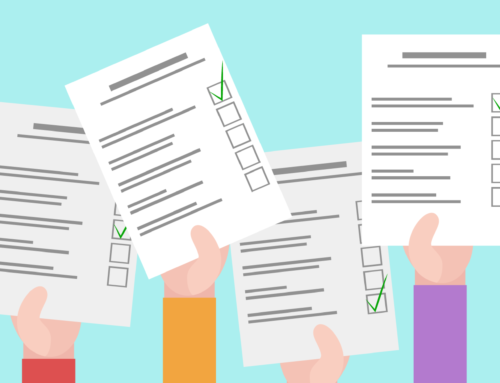 A final aspect of managing online reputations that most practice administrators overlook is the need to respond to reviews on review sites like Google, Healthgrades, and Yelp. According to a study by marketingland.com, 90% of consumers report that their buying decisions are influenced by online reviews. Furthermore, 90% of consumers said that seeing positive reviews impacted their buying decision, while 86% reported that seeing negative reviews impacted their decision. It’s clear that all reviews, both positive and negative, impact consumer perception and behavior – another study by Phocuswright, a global market research company, indicated that 78% of respondents feel that seeing management respond to reviews makes them feel more cared about. But what do you do when someone leaves a negative review? First, take a moment and relax – this isn’t the end of the world! In fact, it’s an opportunity to turn a negative experience that would have hurt your business into a positive one that shows prospective patients that you care about their satisfaction. Don’t let it fester. The worst thing you can do in this situation is totally ignore the review. An unsatisfied patient is more likely to tell friends and family about their bad experience. By addressing the issue in a prompt and respectful manner, you eliminate the risk of losing credibility with potential patients while gaining the added bonus of appearing more trustworthy as a business. If the patient reaches out to you and the issue gets resolved, they may even edit the negative review or remove it from the site entirely. 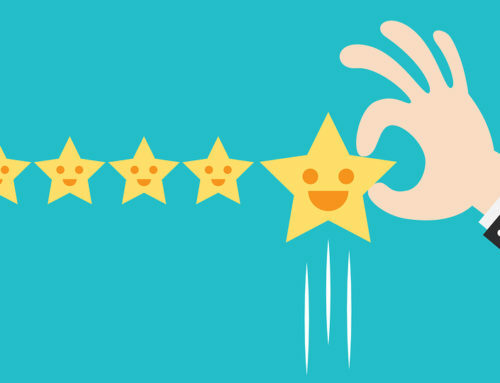 Click here to read about how to manage or delete Google reviews on our blog.